What do you like? Everybody has completly different opinions on wheels. Do you very what you like by the car? By the Color? Do you prefer one type of wheel? My opinion changes on the car I'm not crazy about chrome except on certain car. I prefer painter silver or polished. But certain colors I like black. Whats your style post some pics and lets see whats's popular. What do you see your car with? Factory take offs from another car? Last edited by lautinjr; 05-05-2010 at 11:25 AM. I personally like 5-spoke mags or the 10-spoke, 5-point star pattern. 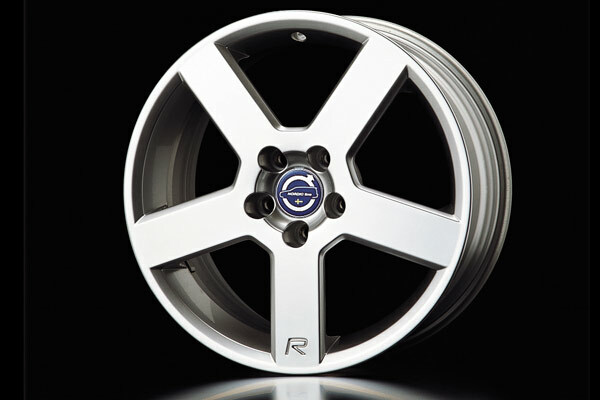 I originally wanted to get these but since I had to buy my rims in a hurry I settled with the ones I have right now, which actually flow with the car pretty well. I like a wheel, first and foremost, to have only one set of bolt holes. Universal fit wheels have weak bolt patterns. I'll NEVER use a universal fit wheel for this reason, purpose-made only please. Sizing plays a key concern. 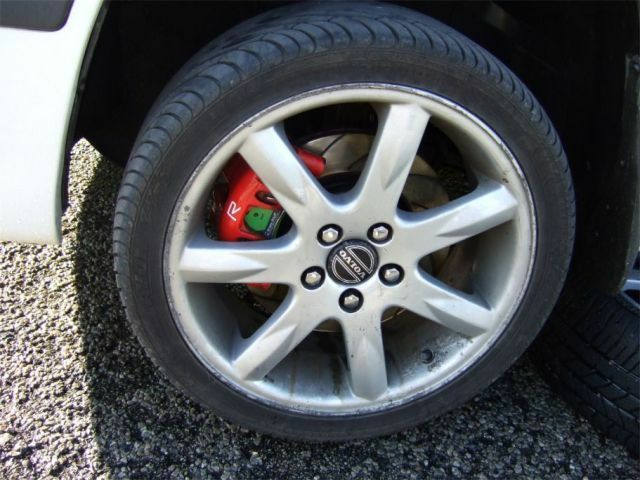 They need to fit the car, and they need to allow a sufficient amount of isdewall for good ride quality and ease of tire changes(Remember that some tire machines can't handle rubberband tires). 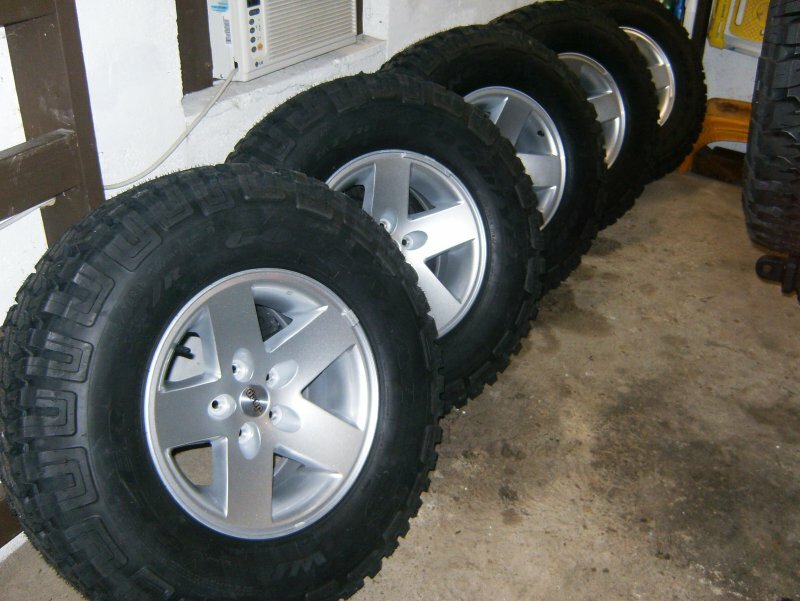 For most cars this is between 16 and 18" rim, trucks can go as big as 22", although that's starting to run afoul of the third thing. Fitting better brakes on a vehicle often requires a bigger rim to clear them anyways, and tire availability is osmething to consider when choosing a rim size. The width is also as important as the diameter. Most of the time a wider rim will give a better contact patch and look a bit better, but if you get it too wide you're going to scrape it on things under the car. This is especially true on cars since there ain't much room in those wheelwells to begin with. The next thing is obnoxiousness of the pattern/coating. Chrome rims blind other drivers. They're so shiney that they reflect sunlight and headlights unpredictably. So I don't like chrome rims on that point. Chrome center caps are fine though, they don't usually cause such a big reflection. The coating depends on what it's going on and the paintjob therein, some cars can pull off a black rim nicely while others would be better suited running a grey metallic one. Still others look downright stunning with a body color rim. The pattern must also be nice. NEVER is a dollar sign pattern a good pattern, for example. Cars, being that they almost always use an offset that puts the pattern right up next to the outside sidewall of the tire, tend to look awesome with a spoked wheel of some sort, my personal favorite is 5-spoke in body color. Wire wheels will look okay if you have a Caddy, or similar pimpmobile, or a car that dates back to when wire wheels were a standard thing to have at the time, but on most anything else they look ridiculous. Trucks tend to look better with a more sturdy looking design, such as the style Nascar uses(I really love that pattern on my truck), and the sturdier rims will help the truck retain it's truck-like abilities(Carry weight, shrugging off potholes, whatever). Certain RWD cars that would use a truck wheel may also look good with the truck wheels. For those of you who seek a tl;dr, look at a donk rim(30" plus) to see what I think is a bad rim, and at the NSX/typical race car for a good car rim while NASCAR runs a good truck rim. Stock wheels, unless it's a trail rig. I couldn't agree more with this statement. Except for 2 pieces yes they should fit the car 2 big is 2 stupid but I do like the new Tahoe's dropped on 26" wheels they fit the car nicely. If your going to do something like that and not suspect a bad ride or not upgrae the brakes then your a idiot like Test said. Also come on Test you got to get that DOLLAR DOLLAR BILL wheel for your ride man! JK! I hate patterns on wheels. Reason I said 22" is because if you get much bigger than that, you run into problems with tire mounting machines and have to seek out shops dealing exclusively with those larger rims. Keeping with a 22" or smaller rim ensures any corner tire shop oughtta be able to mount ya some tires. In vegas everyone can do 24" and up but even when I only had a machine that went up to 20" it's easy to do by hand that's how we did all of them. In vegas everyone and their dog's cousin has huge rims. Not so much in Tennessee or Minnesooota. Last edited by KSIMP88; 05-06-2010 at 12:19 AM.